To approach Dead Rising 2 in the usual game review way, summing up the story and explaining the key features, feels like the wrong foot to get off on because for most of the time you’re playing it Dead Rising 2 doesn’t feel like a computer game. It feels more like a playground game, like Cowboys and Indians – or Humans and Undead, in this case. You don’t need to know why the two sides are fighting, you just need to understand that the game is fun for the participants. The playground in this case is mostly set around the Vegas-inspired Fortune City, where ex-Motocross rider Chuck Greene has come with his daughter to take part in the zombie-killing gameshow, Terror is Reality. Humanity has pushed back the zombie scourge to the stage that the undead are now used as entertainment, but it’s not a whole lot of fun for Chuck, who needs the prize money to buy medicine for his daughter. Bitten by zombies in the initial outbreaks, Katey needs an injection of Zombrex every 24 hours to prevent her from turning into a fiend. Unfortunately, when the zombies get loose and Fortune City is quarantined, Katey’s line of supply is cut off. Taking shelter in an underground bunker, Chuck is forced to the surface to locate supplies. He needs to be back with Katey every day at 7 o’clock with a new Zombrex injection, or she’ll be beyond saving. Nor is Katey Chuck’s only problem. Framed for causing the outbreak in the first place, Chuck is forced to find proof of his innocence through a series of story missions that have to be completed before the trail goes cold. At the same time as doing all this, Chuck needs to rescue survivors and lead them back to the keep the authorities on his side until the army arrive in three days. So, there. That’s the story. Supposedly that’s the thing which should keep you playing, but in reality the plot is fairly predictable and often faltering. 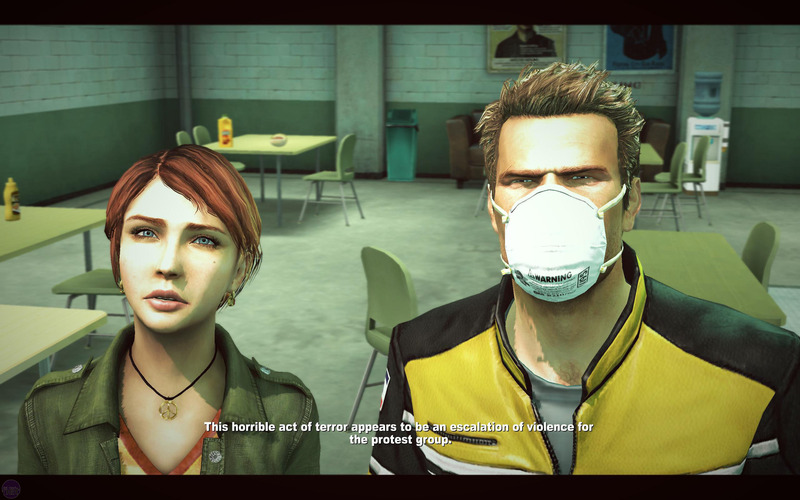 While the black humour is generally successful, there are times when Dead Rising 2 can feel a bit crass – though at least there’s no photography mini-games anymore. Still, watching Chuck ogle the ladies in such a lecherous fashion doesn’t do a lot to endear him to players. Fortunately, that doesn’t matter because the story isn’t ultimately important and most of the in-game cutscenes can be skipped or ignored without damaging the overall experience too much. It’s the tools left at your disposal that keep you playing. There’s always one more locked door to open, one more weapon to try out and one more special move you haven’t unlocked yet. Dead Rising 2 boasts an incredible amount of content and the arsenal alone is almost as expansive as the setting is gaudy. Childrens bicycles. Also serious business. There are recipes too; combinations of items that can be joined together to create new, more powerful fusions. Not every item can be enjoined, but the vast majority can and it’s easy to create more effective weapons or items because Dead Rising 2 knows better than to take itself seriously, allowing you to create some truly ludicrous concoctions. Combine a power drill with a steel bucket, for example, and you’ll get a helmet that will mince a zombies brain with ease, while toy helicopters can have their rotors replaced with machetes for automated killing. My personal favourite? A lizard mask combined with a box of fireworks, creating a dragon helmet that lures zombies away from you. 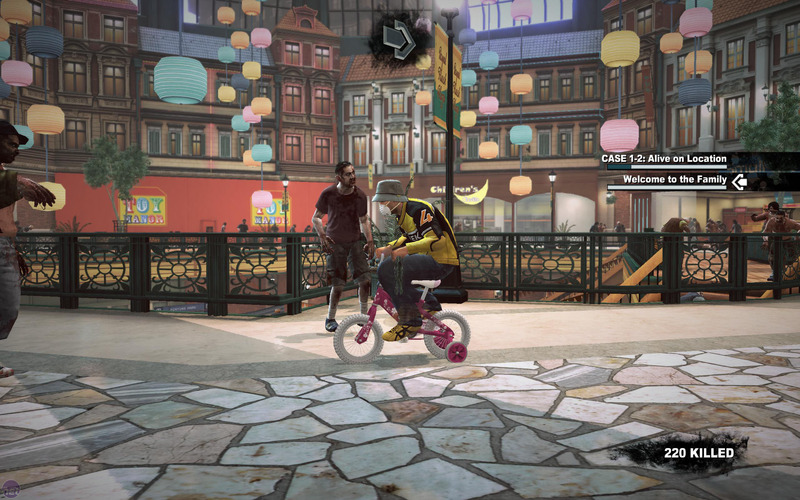 New recipes can be unlocked through experimentation, but Dead Rising 2 is underpinned by an RPG system too and you’ll get told new options when you level up, as well as a stat boost. Killing zombies with home-made weapons yields an XP boost too, encouraging you to focus on murdering the hordes in the most elaborate, gory way possible. It’s sick, it’s twisted and it provides endless fun as you rack your brain for new combinations. Even without creating your own weapons there’s tons of fun to be had, as we loved throwing gumball machines into crowds of enemies – the initial damage followed up by the hilarity of zombies tottering over the gumball covered floor. Telltale's Fables-based videogame drama makes a strong debut. Telltale's writing is better than ever, but 400 Days suffers from a change of structure and an unsatisfactory payoff.